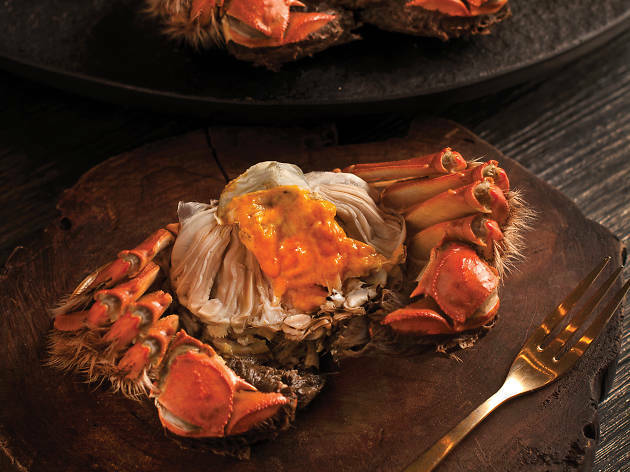 Crystal Jade's fine dining establishments Palace, Golden Palace and DINING IN procures a payload of prized hairy crabs from Yan Cheng Lake in China, and serves them up in traditional and modern ways. 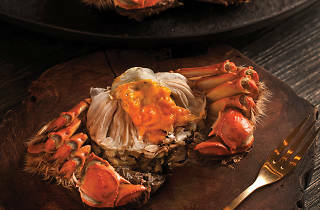 Purists will appreciate dining on the crustaceans, steamed ($42/175-199g piece), or chilled with Chinese wine ($45/175-199g), while seasoned diners can try the crab steamed into a xiao long bao ($6/piece), baised with shark's fin ($35) or stuffed into deep fried sping rolls ($24/four). A seven-course set menu ($118/person) featuring this year's a la carte creations is also available to dine on.